Your Mini is so cute! Props on starting your blog...you should have fun with it. I wish I could be in Charleston to see your MINI - definitely fits you more than the Saturn did!! 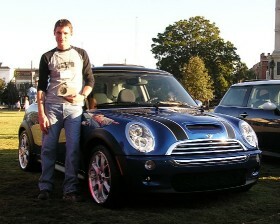 That's not the only Mini in that picture!